Do you need to acquire a Birth or Marriage Certificate? How about a new or renewing your passport? Worry no more, with Citizen Services, you could do this and so much more! 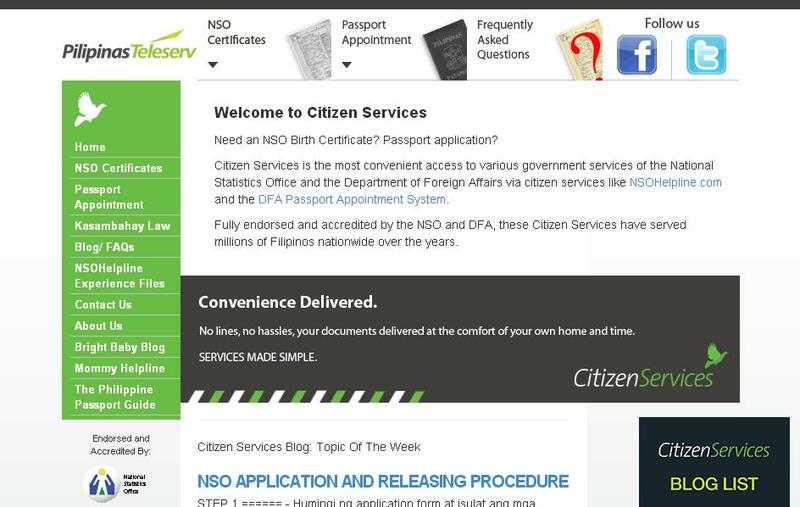 Citizen Services is your one-stop shop for all your government document requirements. Since 2000, Pilipinas Teleserv has been providing dynamic services to Filipinos with cutting-edge customer management solutions and innovative business process outsourcing services. Primary of these solutions is Citizen Services, an integrated customer service solution that has changed the way people transact with government agencies. NSO Helpline: Most important personal documents processed accurately and delivered securely. Request birth certificates, marriage certificates, death certificates, and certificates of no marriage (CENOMAR) via hotline 737-1111 or website (www.citizenservices.com.ph) and these will be delivered right to your doorstep. That easy! 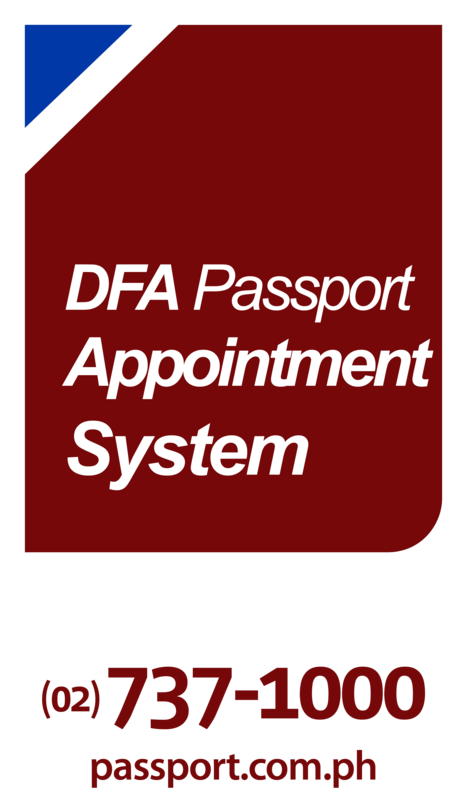 DFA Passport Appointment System: Efficient and fast. Really. Set your DFA Passport Appointment via hotline 737-1000 or www.passport.com.ph, appear on the appointment date on your chosen DFA Office or Satellite Branches, and either pick up your passport or deliver to your home. My last visit to DFA to renew my passport took less than an hour. Your requirements from the Securities and Exchange Commission now can be processed and delivered online at www.secexpress.ph or over the phone at 737-8888. Which features blogs, tips, and tricks regarding your government-issued documents. Congratulations to Pilipinas Teleserv for initiating this service in service of the Filipino family. Have you experienced the services of Pilipinas Teleserv? Do share with us!